Edit 24/11/15 : We've reached 100%! But the project does not stop there, next goal, 112% so we can restore a second bike! 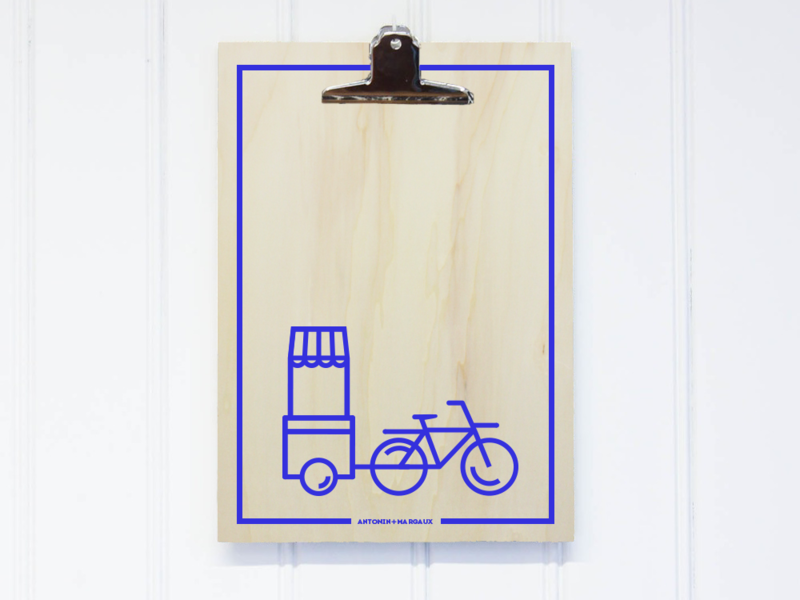 La Charrette is a screenprinting trailer pulled by a bike. We offer you to help us set it up and prepare it’s first trip around France and even Europe ! Here is what is La Charrette and how we came up with this idea. 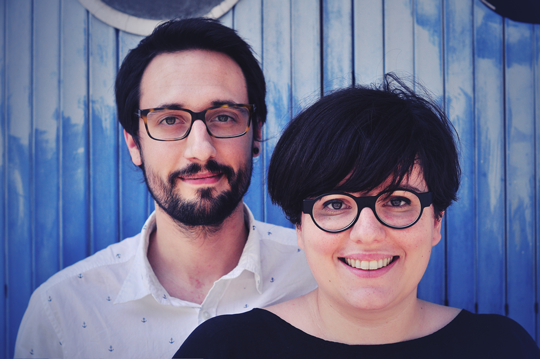 We are Antonin+Margaux, a graphic design duo from Nantes, western France. We started our graphic design and screenprinting company in 2011. For 4 years now, we develop our activity around those two practices. We do client work, especially visual identity, and practice screenprinting in different contexts. We run an online shop of our screenprinted goods that allows us to show our graphic experimentations, in an independent way. We also work with creatives on original collaborations. And we offer different types of workshops for all ages in different types of events: concerts and festivals, launching parties, craft fairs. We even launch discovery workshops in our own atelier since last may. 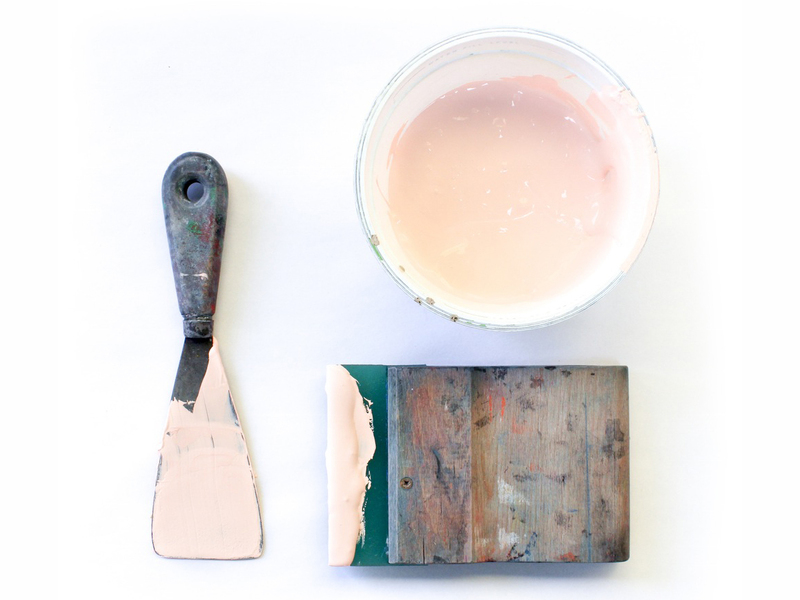 This screenprinting practice is rooted in our work. Screenprinting let us manage the whole graphic chain and that’s why we love this technique. 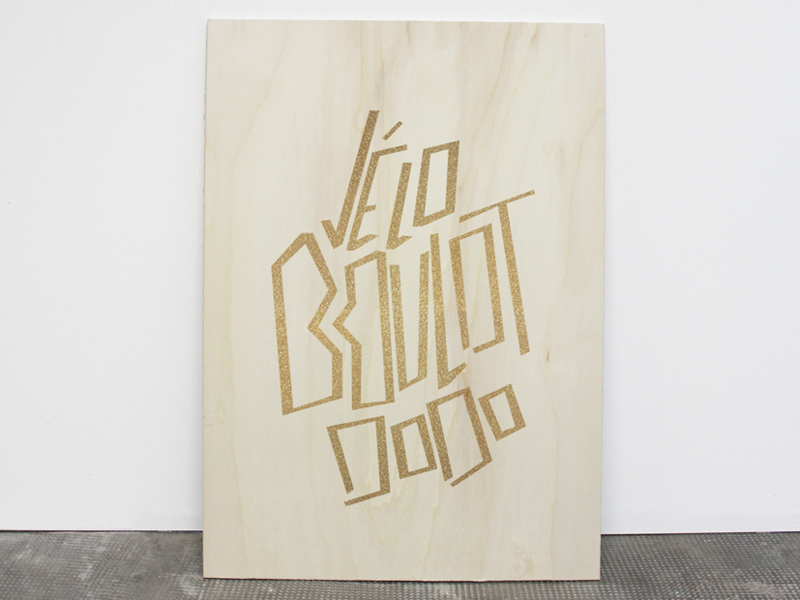 It offers a lot of original possibilities and accessible from small series: neon inks, metallic, varnish. Our work is very characterized by this technique. Why a screenprinting trailer ? 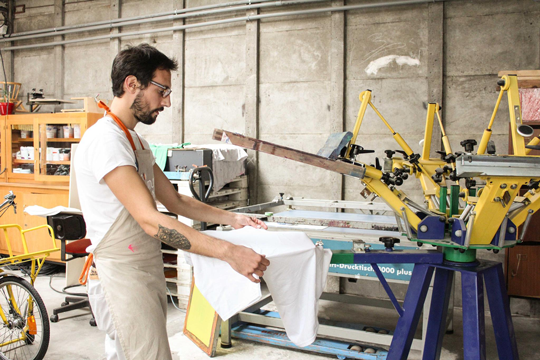 From all of these experiences using screenprinting we came up with an observation: live printing is a playful and eye-catching way to attract people’s attention, but every single intervention lacked set up visibility and unity. That’s where the screenprinting trailer idea came from. The screenprinting experience we gathered, especially with all the different events we took part in, prepared us to use this incredible tool. It will allow us to showcase our expertise, both in graphic design and screenprinting. La Charrette can be used in different contexts as a playful and eye-catching entertainment to showcase our graphic work or as a service during concerts and festivals, craft fairs, launch parties, team building days, educational workshops, and so on. Possible uses are manifold. We believe that print has a special place in today’s world and we are ready to show it to you ! 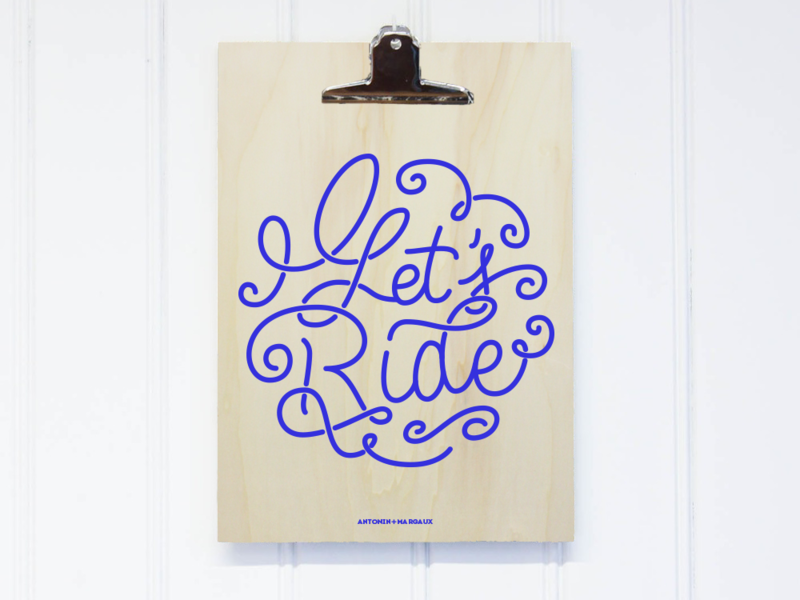 The project is rooted in our screenprinting experience and in our love for bikes, with which we ride to work everyday. We are very bound to this earth respectful way of traveling. During 2013, for a special event in Nantes, we initiate the building of a screenprinting trailer, already called la Charrette at that time. But the device, set up on a budget and in no time, fell apart quickly and revealed flaws. This prototype allowed us to know the different factors to consider in the making of a longlasting screenprinting trailer. 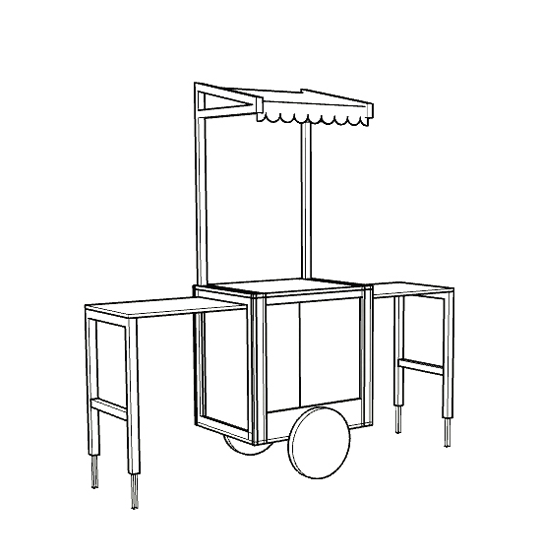 In fact, to build a good screenprinting trailer, you should not only focus on the workspace. The device also has to stand up to the multiple trips on the road. Both of the two aspects, mobility and printing are important. This first try gave us the taste of working with designers. These experts are in the best position to know how to deal with all the different demands of build such a tool. 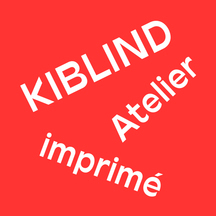 The truth is we have a pretty good idea of who those designer are: Büro Allemand. They’re a design studio, and a production atelier. They’re the best fit for this project. 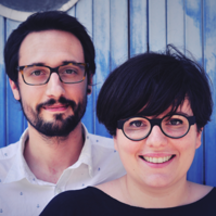 We met with Philip and Céline more than a year ago now. We worked hand in hand on several projects since then, especially for one particular project. The building of their art & design concept store in Nantes: Bel Ami. 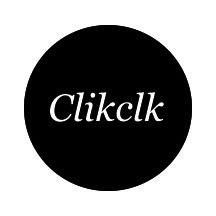 It’s a common reflection on the way to communicate for creatives that led us to work together on the La Charrette project. We share a common love for creativity and rigor, two essential values for this project to succeed. 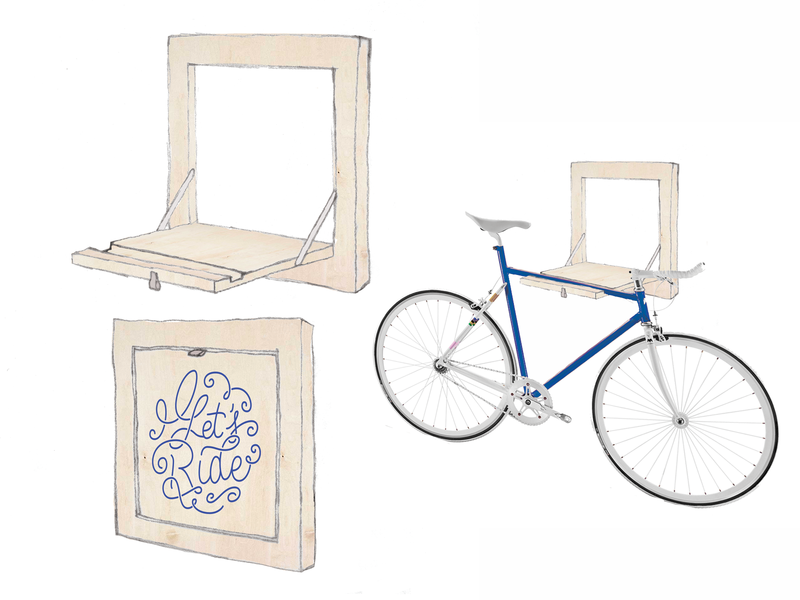 La Charrette is a mobile screenprinting device, pulled by a bike. Now, let’s see what it’s made of. Of course, for moving times, all the ancillary sections get back in the main one, which also allow us to pack all of the necessary tools for nomad printing. Because we plan on going far with the device, we also thought of an easy way to disassemble it and pack into a vehicle. We also plan on getting a bicycle carrier for our vehicle to be able to transport the bike as well. In fact, we would love to travel France and Europe by bike but we need to keep the company up and running in the meantime. So we are going to travel the long distances by car. 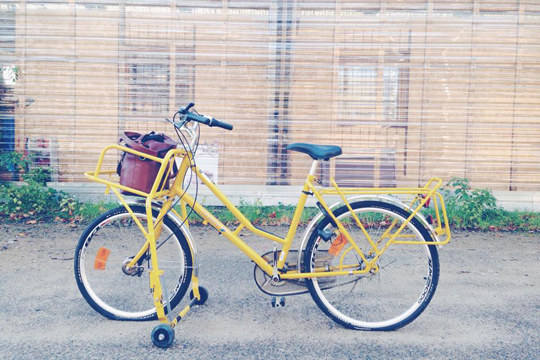 But in a eco-friendly attitude, we plan on parking the car at the gates of the city and using the bike after that. - 2000€ / 45% are the budget of building La Charrette. It includes all the goods necessary for building the trailer (wood and hardware), sandblasting and paint for the bike, as well as the motor and the different pieces necessary to its metamorphosis. It also includes the flash dryer, the cash register that will be embed to the trailer. And the bicycle carrier. We take care of the workforce by our own means. - 1240€ / 28% are for the rewards. 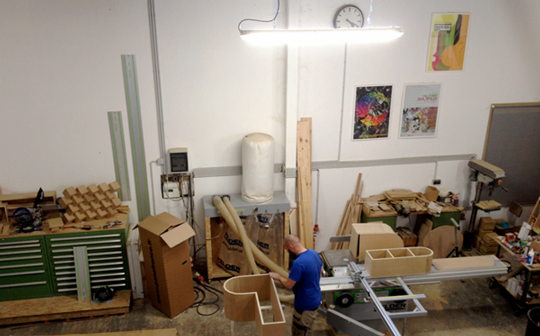 We make a lot of things by ourselves, that allows us to offer nice rewards at a correct price. This amount is for goods, mainly wood and paper, and bike bells. - 900€ / 20% is for french taxes. - 360€ / 8% is for KissKissBankBank commission. An ambitious but possible project ! We conceived the project as a whole, and we might as well not stop at the first step if you allow us to ! For sure, we definitely see things bigger for this project; We would like to go on a tour with the device to show it to you. We plan on visiting 6 french cities (plus Nantes): Paris, Brest, Bordeaux, Lille, Toulouse, Lyon, and 6 european cities: Brighton, Rotterdam, Munich, Bruxelles, Barcelone, Tunis. - 112% (5000€): We get another bike and pimp it the Charrette way, to be able to travel in a visually more consistent way. - 120% (5380€): French tour begins ! We get to visit Paris, Bordeaux and Brest. - 140% (6160€): Expended French tour ! We get to visit Lille, Toulouse and Lyon, on top of Paris, Bordeaux et Brest. - 160% (7130€): Euro tour is kicking ! 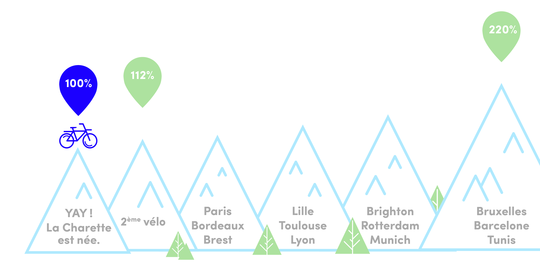 We get to visit Brighton, Rotterdam and Munich, on top of the french cities ! 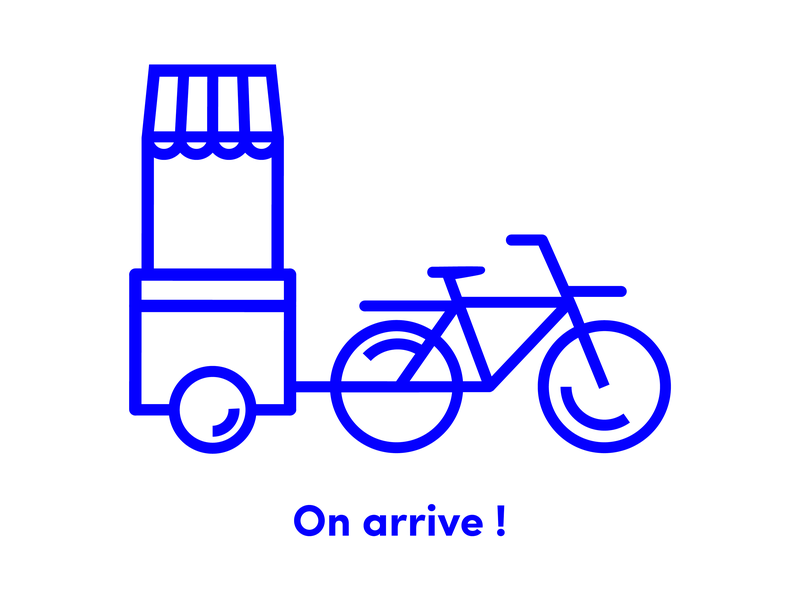 - 220% (9770€) : Charrette Euro Tour is on ! We get to visit Bruxelles, Barcelone and Tunis on top of Brighton, Rotterdam, Munich and the french cities ! The « Charrette Euro tour » is a crazy project of ours but we are so excited about coming to meet you that we would very much like to get to that point ! 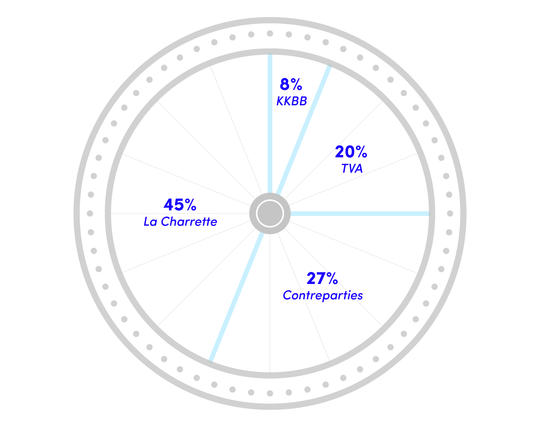 Merci + La Charette gif + we'll keep you in touch. Desktop wallpaper (computer, phone, tablet) + your name and link on la Charette's page + 5 stickers + merci. 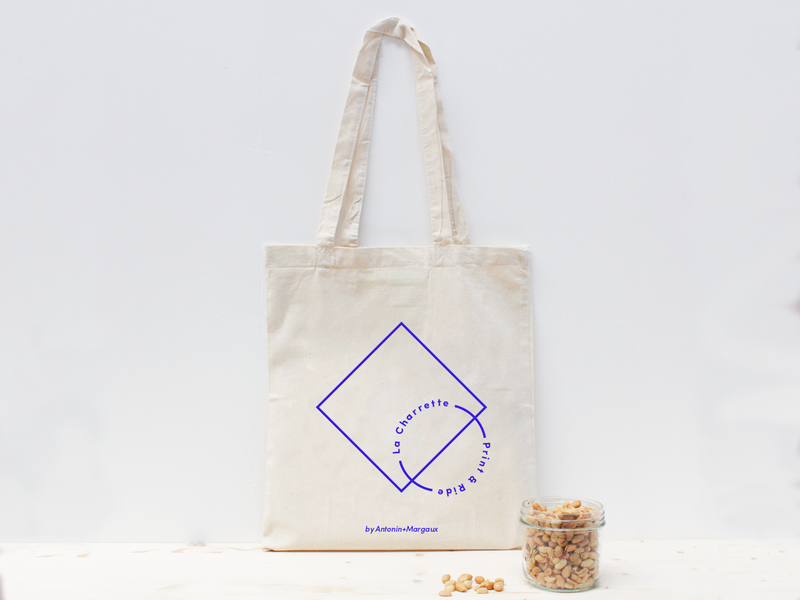 Totebag "la Charette" + wallpaper + your name and link on la Charette's page + 5 stickers + merci. Clipboard sérigraphié avec motif inédit + fond écran + nom et lien promo sur page de la Charrette + 10 stickers + merci. Screenprinting initiation in Nantes + your name and link on la Charette's page + 10 stickers + merci. 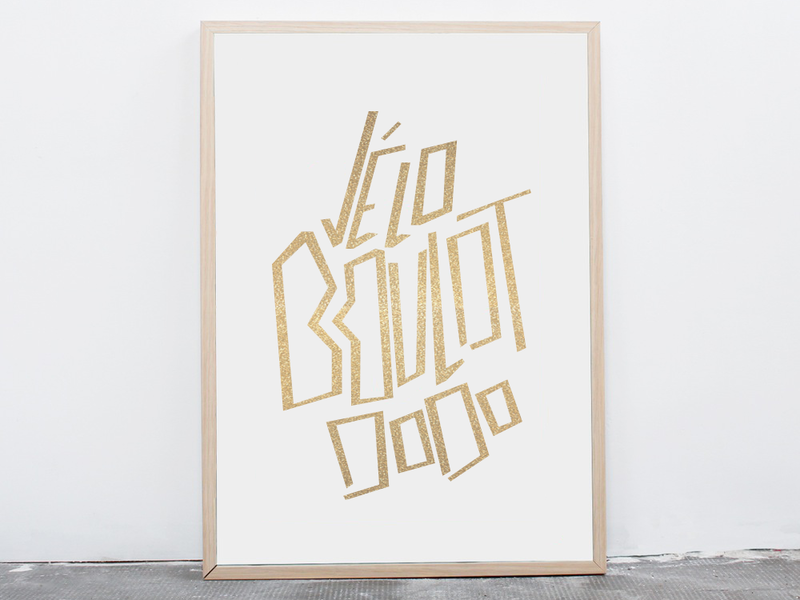 Screeprinted poster 1 color "Vélo Boulot Dodo" (limited edition, numbered and signed) + totebag + wallpaper + your name and link on la Charette's page + 10 stickers + merci. Screenprinting class 1 color in Nantes + wallpaper + your name and link on la Charette's page + 10 stickers + merci. 3 colours screenprinted poster (limited edition, numbered and signed) + wallpaper + your name and link on la Charette's page + 10 stickers + merci. 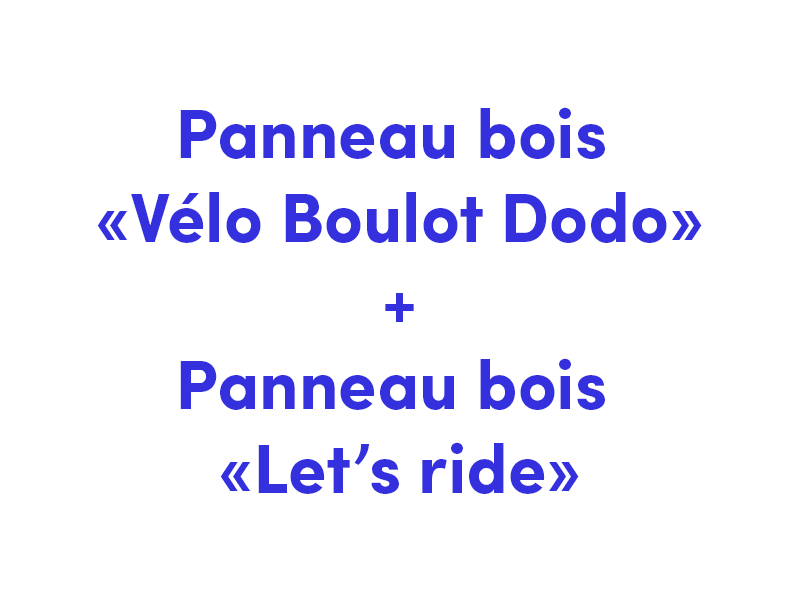 Screenprinted poplar piece in 1 colour "Vélo Boulot Dodo" (limited edition, numbered and signed) + wallpaper + your name and link on la Charette's page + 10 stickers + merci. 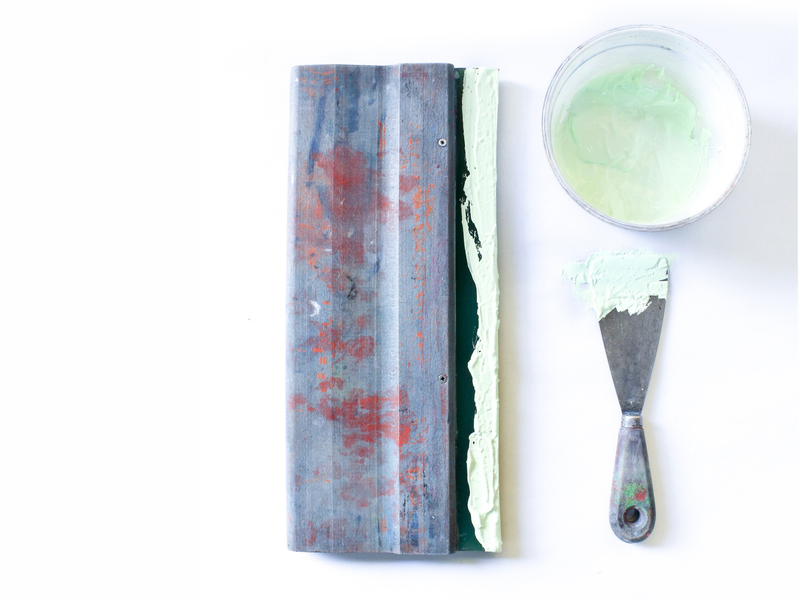 Screenprinting class 2 colours in Nantes + wallpaper + your name and link on la Charette's page + 10 stickers + merci. 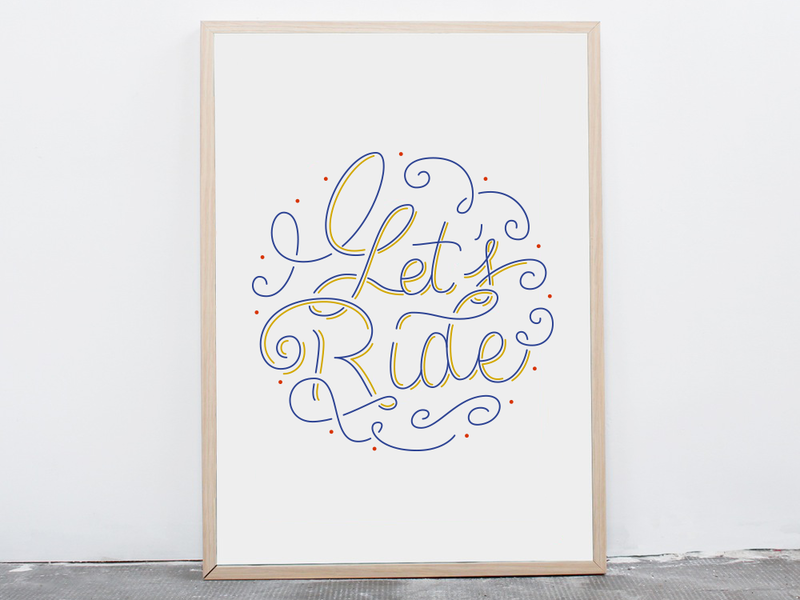 Screenprinted poplar piece in 3 colours "Let's ride" (limited edition, numbered and signed) + wallpaper + your name and link on la Charette's page + 10 stickers + merci. 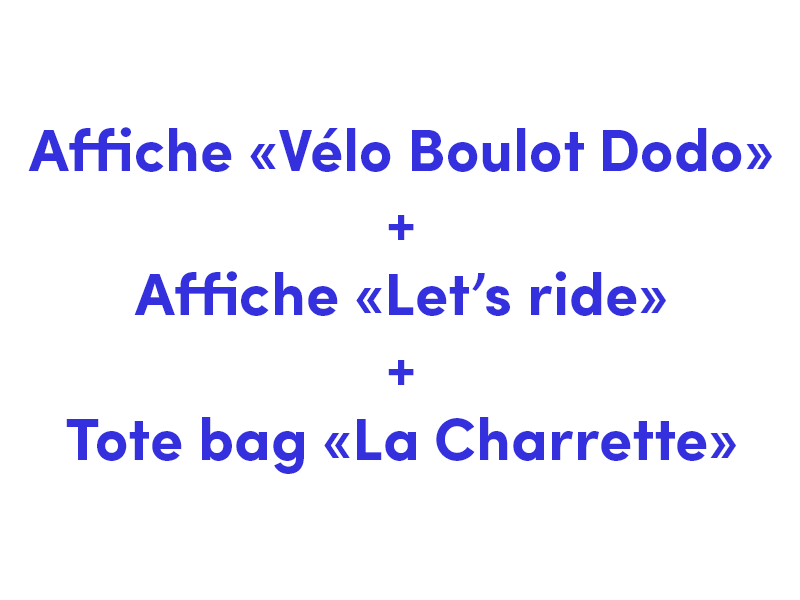 Big screenprinted posters pack "Vélo Boulot Dodo" + "Let's ride" + totebag + wallpaper + your name and link on la Charette's page + 10 stickers + merci. 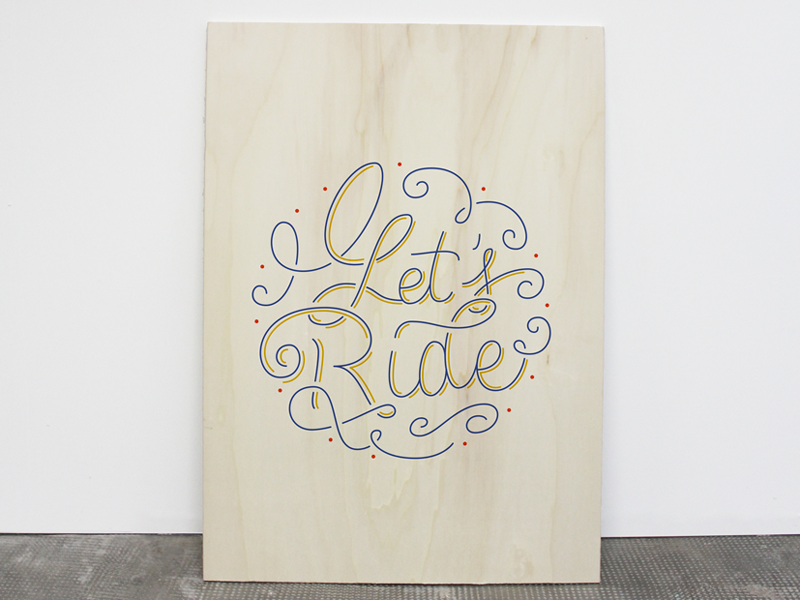 Big screenprinted poplar plywood pack "Vélo Boulot Dodo" + "Let's ride" + wallpaper + your name and link on la Charette's page + 10 stickers + merci. 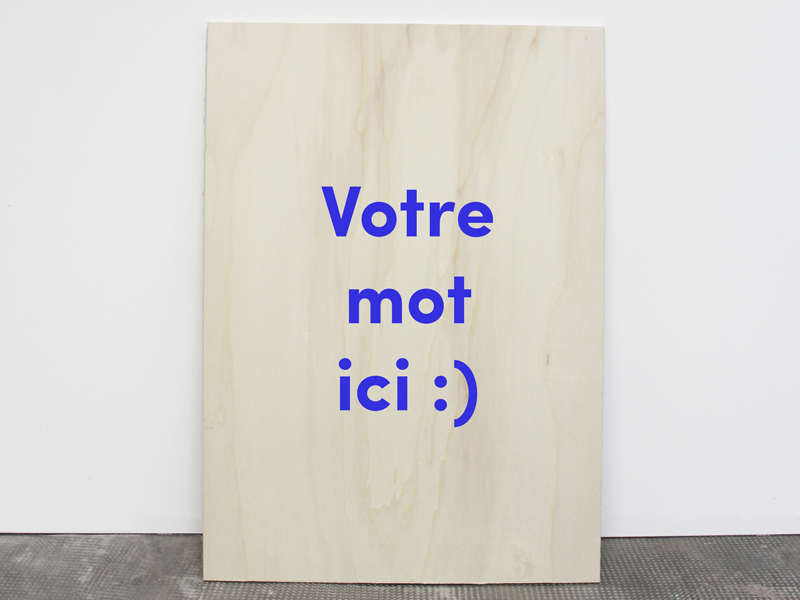 Screenprinted poplar piece in 1 colour with the lettering word of your choice + wallpaper + your name and link on la Charette's page + merci. Hand screen printed birch bicycle carrier. Made in Nantes by Büro Allemand, comes with fixing system. Dimensions : approx. 50x50cm + wallpaper + your name and link on la Charette's page + 10 stickers + merci. On se déplace dans ton événement pour sérigraphier des sacs ! (hors frais de déplacement, uniquement en France métropolitaine). Live printing 4h, 80 sacs ou 50 teeshirts. N'hésitez pas à nous contacter pour plus d'informations. Screenprinted clipboard with unique pattern + your name and link on la Charette's page + 10 stickers + merci. 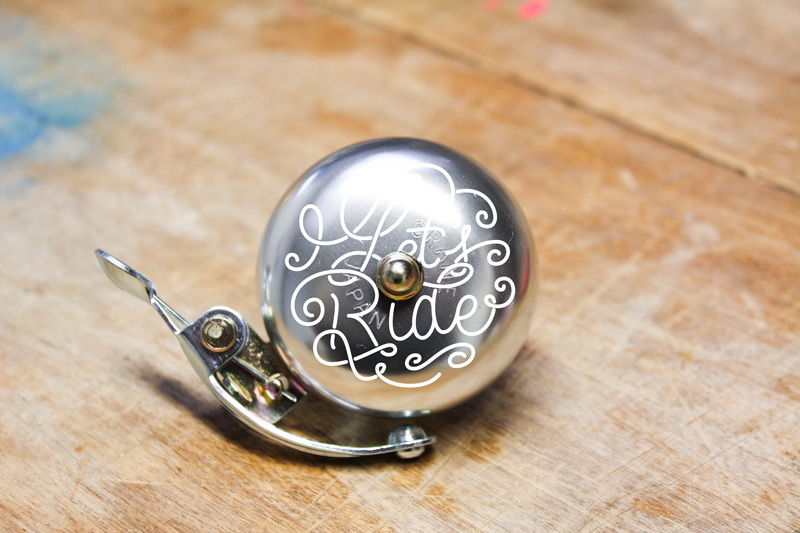 Customized bike bell "Let's ride" (handpainted) + totebag + wallpaper + your name and link on la Charette's page + 10 stickers + merci.